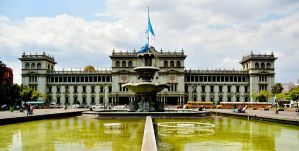 Being a large city, Guatemala City has a lot to offer, but also many different neighborhoods. The hostels are just as varied. Some are quiet and relaxing, some are social, and some provide more benefits that others. Below, we've listed some of the best the city has to offer. With free breakfast, tours and transportation, and clean, comfortable rooms, all of these hostels are worth checking out. 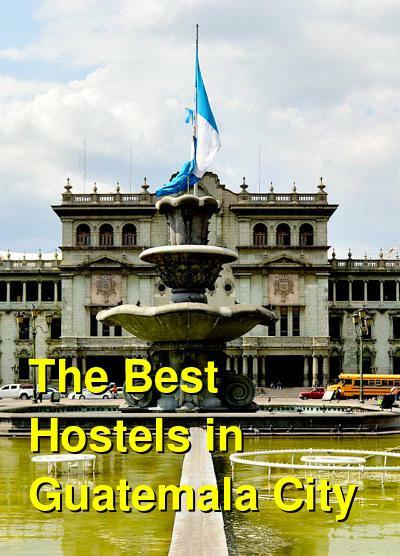 How much do hostels in Guatemala City cost? Run by Australian travelers who wanted to open a hostel, this place caters to your every need. Located in a great part of the city, near restaurants, bars, shopping, and more, the Quetzalroo has dorms and private rooms. They also offer a free breakfast, plus standard hostel amenities such as Wi-Fi and internet, lockers, laundry facilities, bike rental, a shared kitchen (with a nearby grocery store), hot water, TV, and more. Reviewers continuously give this hostel high marks all around. It seems that former travelers who open hostels actually know what other travelers want! The staff is welcoming, friendly, helpful, and can help you get information or make reservations for you for transportation or tours. The reviews tend to also highlight cleanliness and the nice list of amenities available. Located in a great part of Old Town Guatemala City, the Theatre International Hostel has everything a backpacker could want, and more! It is surrounded by restaurants and shops in the historic part of town, close to everything. The list of standard amenities is typical: Wi-Fi, clean dorm beds and private rooms, shared kitchen, etc. But what separates this place from the rest is the free all-you-can-eat breakfast of pancakes and fruit, the swimming pool area, and the social atmosphere created by the staff (and beer in the fridge). Rooms and bathrooms are clean and modern with an old-world charm, and the common areas are spacious, comfortable, and relaxing. The friendly staff can help you book trips and transportation in town and elsewhere, and will cater to your needs. Reviewers highlight the cleanliness and the relaxed atmosphere. With the feel of a real house and located in a safe residential area, this hostel has a relaxing quality to it while still providing for a social environment. The onsite bar and free breakfast help the guests to get together and plan the day's adventures in the city. Dorms and private rooms are available. All facilities are kept clean, and the bathrooms are modern, refurbished, and have hot water. They even have a Jacuzzi and steam room for those who wish to unwind in the evening after going out for the day. Games, a TV, and other activities are available as well. Wi-Fi, a shared kitchen for self-catering, tour booking, laundry, and towels are also on the list of amenities. Convenience is the theme at this nicely decorated hostel. Being so close to the airport, one might think it was shady, but the opposite is true. They are located in a gated community which is very safe. Furthermore, the cozy and well-appointed rooms (both private rooms and dorm rooms are available) create a great atmosphere and are kept clean and ship-shape! Free breakfast is only one more reason that this place should be on every traveler's short list. It's perfect if you need to stay near the airport because of an early or late flight, but that's not the only reason you should stay. They also offer Wi-Fi, a pool, and comfortable common areas and courtyard for relaxing. Close to the airport and offering a free ride for your flight, Guatefriends provides a comfortable and colorful Guatemalan atmosphere for guests. Offering private rooms of various sizes, as well as dorm beds in small, quiet dorm rooms. They also claim to have hot water all day long, which is perfect for those arriving or departing who wish to clean up for their flights. They offer free breakfast (after all, they refer to themselves as a bed & breakfast as well as a hostel), plus towels, Wi-Fi, tour and excursion booking, shuttle services, a communal kitchen, TVs, and a game room, plus more. The Best Hostels at Lake Atitlan, GuatemalaThe Best Party Hostels in Antigua GuatemalaThe Best Hostels in Flores, Guatemala for Solo Travellers and CouplesAffordable and Safe Hostels in San Juan del Sur, Nicaragua for Backpackers and SurfersReviews of The Best Hostels in HondurasQuiet, Safe, and Affordable Hostels in Leon, NicaraguaThe Best Hostels in San Ignacio, Belize, for Solo Travellers and GroupsThe Best Hostels for Backpackers, Students, and Budget Travellers in Panama.